It became apparent that the Honeycomb idea with the hexagonal shapes of the lots and houses was perceived as being not construction-friendly that to many developers . On top of that, it was deemed unacceptable to many in the Chinese community who believed in "fengshui". 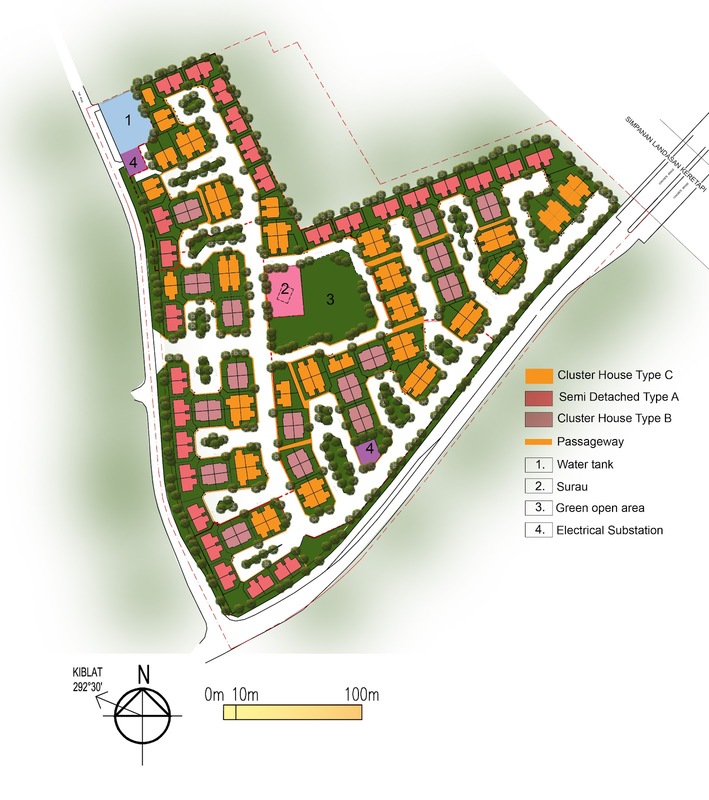 The offending features were, firstly, having the houses in dead-end roads and, secondly, the shape of the individual lots, houses and some of the rooms not being rectangular. 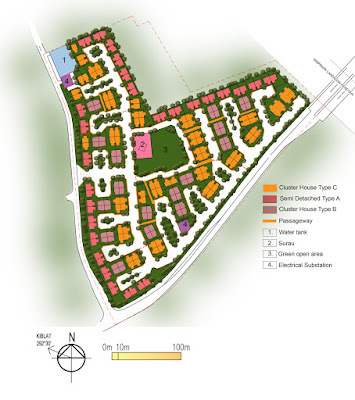 The houses in this rectangular Honeycomb layout are still located within green courtyards, with every house facing a pocket park. The original advantages of the Honeycomb neighbourhood - safer, friendlier, greener and more efficient in using land than the terrace layout - are still maintained, but now we can also say that the houses themselves are much more spacious and comfortable. Some of the houses on the periphery of the site would end up without a courtyard in front of them, but they were relatively few; it was a compromise I could accept. Although we didn't win the competition, the solution was quickly adopted elsewhere. And it was adopted by a very well-established developer. 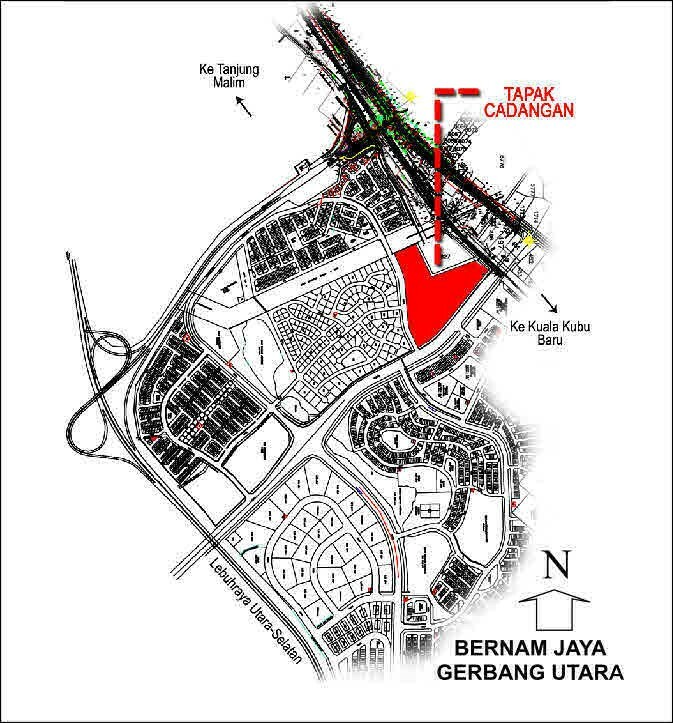 Long established developer, PKNS, wanted new ideas to help them push further forward with their land holding in Bernam Jaya which amounted to thousands of acres, in the north of Selangor. Even after 10 years of acquiring that land they had only developed about 100 acres of it and houses that they had built were low-priced conventional houses that looked dowdy, that could many buyers and that generated low margins. I was able to make a pitch for Honeycomb housing through several presentations with proposals for a hexagonal and later, a rectilinear layout before succeeding in getting commissioned as architect and planner.